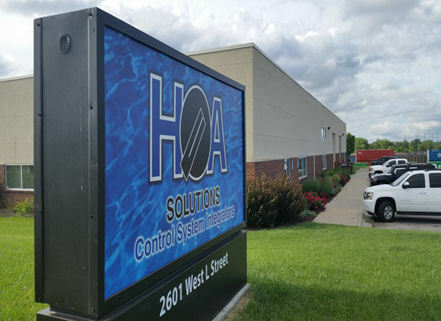 At HOA Solutions we provide control solutions for the water and wastewater industry. We listen, and carefully consider your unique issues and needs, then we design the right solution for your budget, with features that save time, energy, and money. With HOA Solutions you can count on dealing with proven professionals every step of the way, from project conception to completion. Lincoln has been involved with all aspects of the business including system design, product innovation and system development for more than 19 years. Lincoln holds a Bachelor’s Degree in Mechanical Engineering and a Master’s Degree in Biological Systems Engineering from UNL. He is a Certified PE in Control Systems Engineering in the States of Nebraska, Iowa, Kansas and Oklahoma.